Dr. John Bentson graduated from the University of Wisconsin School of Medicine and Public Health. He did his internship at the University of Minnesota at Fairview and completed two residency programs, one at the University of Wisconsin and the other at the UCLA Medical Center. He is specialized in Radiology and board certified in Diagnostic Radiology. 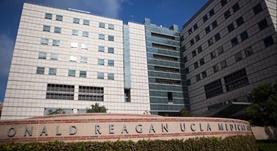 Dr. Bentson has been in practice for more than 20 years and is affiliated with the Ronald Reagan UCLA Medical Center. During his career, he has also contributed to various publications of medical interest. Dr. John Bentson has contributed to 3 publications. Batzdorf, U.,McArthur, D. L.,Bentson, J. R.; J. Neurosurg.. 2013 Feb.
Pentoxifylline is not a promising treatment for multiple sclerosis in progression phase. Myers, L. W., Ellison, G. W., Merrill, J. E., El Hajjar, A., St Pierre, B., Hijazin, M., Leake, B. D., Bentson, J. R., Nuwer, M. R., Tourtellotte, W. W., Davis, P., Gr...; Neurology. 1998 Nov. Giant intracranial aneurysms simulating brain neoplasms on computed tomography. Byrd, S. E., Bentson, J. R., Winter, J., Wilson, G. H., Joyce, P. W., O'Connor, L.; J Comput Assist Tomogr. 1978 Jul.